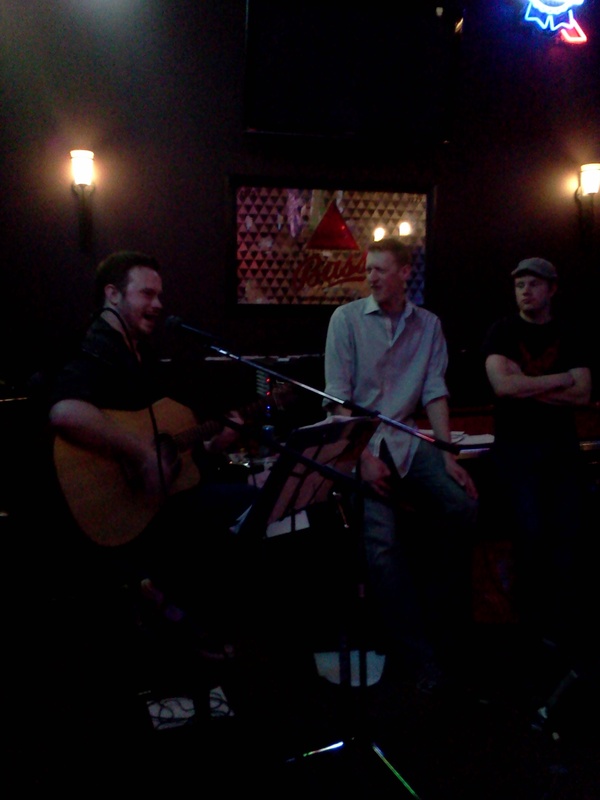 I got a chance to sit in with my friend, vocalist and guitarist Adam Danger Bacot, on Saturday night. I enjoyed myself for so many reasons, but the one in particular that prompted this post was the notion of cover songs and why they are so much fun to play (at least in certain settings and contexts). For the most part, I play original music – songs and compositions written by someone in the band (oftentimes someone other than me), which I don’t regret by any means. I feel pretty strongly that I want to spend the majority of my time playing music that either I write or my peers write, because I want that to be the main way that I express myself. That said, what a shame it would be if all the great music of the past was never performed again! There was a conversation a while ago among jazz bloggers about jazz tribute shows (basically jazz “cover bands”). I believe Jason Parker got the last word here, but it looks like he cited the other posts, and I stayed out of that, but jamming on Van Morrison, MJ, Dave Mathews, and other covers with Adam got me thinking about it again. Often, the only opportunities people have to hear rock and pop songs they like being performed is either at a casino or karaoke, so to play some of those songs, and then to be in the audience and hear Adam do them while singing and dancing myself, was a real treat, and I hope to do it again. Disclaimer: Don’t misunderstand, I absolutely LOVE karaoke.